Watch our own interview with Albertine on the Mid-Breton Sediment Diversion projects below. 2) Restoring the coast for WILDLIFE. 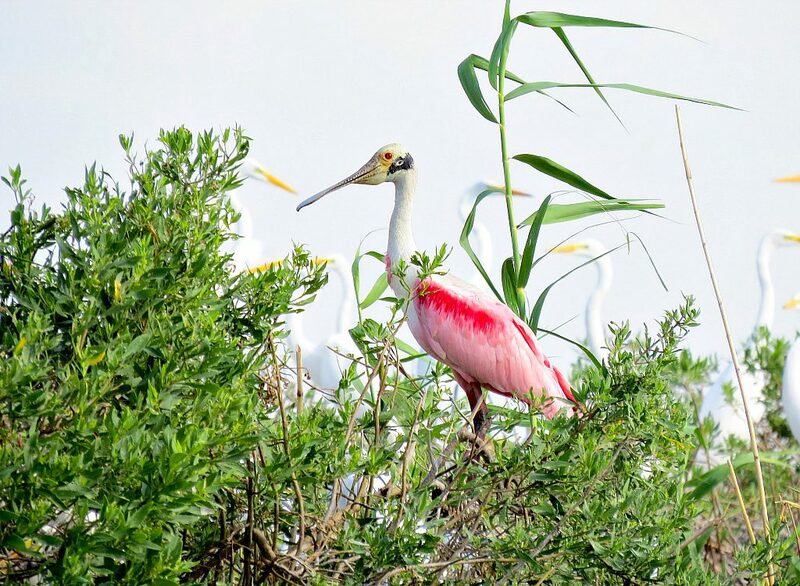 David Jacobs’ story, “Born to be wild: Protecting native birds and animals is the mission of this Audubon sanctuary,” for inRegister takes a look at Audubon’s oldest and largest wildlife sanctuary, the Paul J. Rainey Wildlife Sanctuary in Vermilion Parish. Read through this excellent story to learn about the sanctuary’s manager of 22 years, a number of threatened and endangered bird species that call this special place home and the restoration projects at work to preserve it. 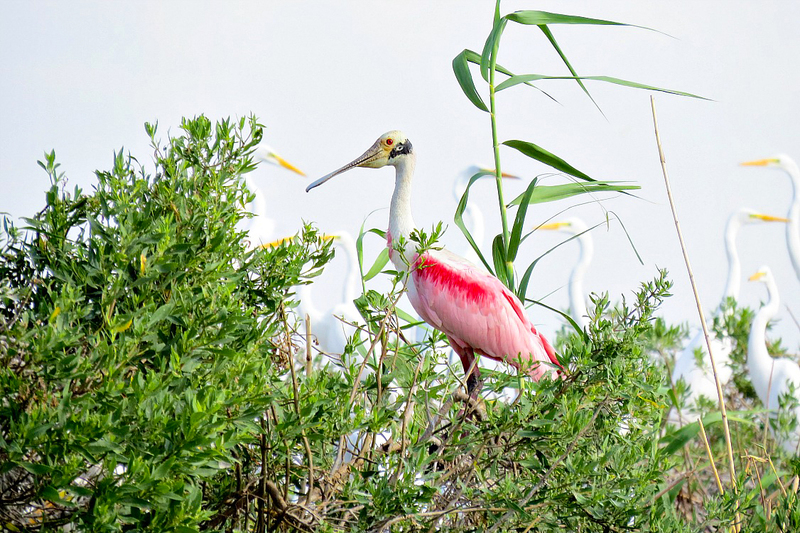 Among the avian species found at Rainey are great egrets and roseate spoonbills. Photo by Karen Westphal. 3) Restoring the coast for JOBS. In Mark Schleifstein’s piece for The Times-Picayune, “Infrastructure Week: Stressing link between coastal restoration and jobs,” he writes, “With the state likely to be spending more than $500 million a year on restoration projects over the next 15 years…both industry and environmental groups say the potential for job growth is significant.” This includes job opportunities for a wide range of education levels, adding to the economic importance of restoration in our state. 4) Restoring the coast for the FUTURE. The Walton Family Foundation released the video below highlighting the urgent need to restore Louisiana’s coast. Keep an eye out for a few of our own—Jacques Hebert, Erik Johnson, David Muth, Simone Maloz.